The Finessis GSFPU Green Sterile Surgical Latex Gloves are sterile rubber latex surgical gloves with a smooth finish. They are hand specific, with an ergonomic design for maximum comfort, and are available in six different sizes to provide users with a secure fit. The Finessis GSPFU Sterile Surgical Latex Gloves are ergonomically designed with curved fingers to improve user comfort and minimise hand fatigue during extended wear. In addition, they are soft and pliable to further promote dexterity and precision of movement. The GSFPU Gloves are available in six sizes, so users should be able to find a size that fits their hand comfortably and securely. The Finessis GSFPU Gloves are sterilised using gamma irradiation. This process uses Cobalt 60 radiation to kill micro-organisms and is safe, reliable, and highly effective at sterilising single use medical devices and products. Sterile and compliant with the EN455 series of standards (parts 1,2,3 and 4) and Medical Devices Directive 93/42/EEC, the Finessis GSFPU Gloves are appropriate for medical use. This includes use in surgical procedures, as well as general use by dentists, doctors, vets and nurses. The Finessis GSFPU Latex Gloves are packaged in pouches with one pair per pouch. 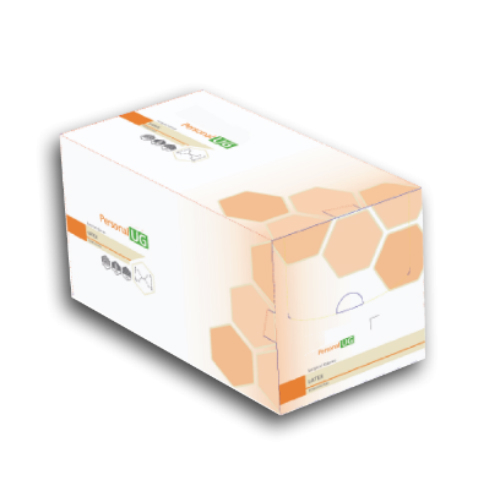 They are sold in cases containing four dispensers, with each dispenser holding 50 pairs of surgical gloves. The GSFPU latex gloves are manufactured from natural rubber latex, which can cause an allergic reaction in certain individuals. As a result, individuals with latex allergy should avoid wearing latex gloves, and those with hypersensitive skin should use these gloves with caution. The GSFPU Gloves are available in sizes 6, 6.5, 7, 7.5. 8 and 8.5. 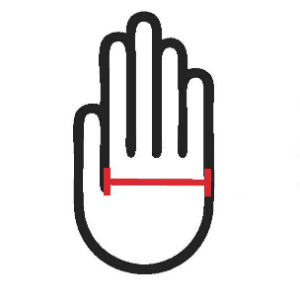 To find the right size, measure your hand across the widest part of your palm, as shown below, then refer to the sizing table to find the corresponding size.